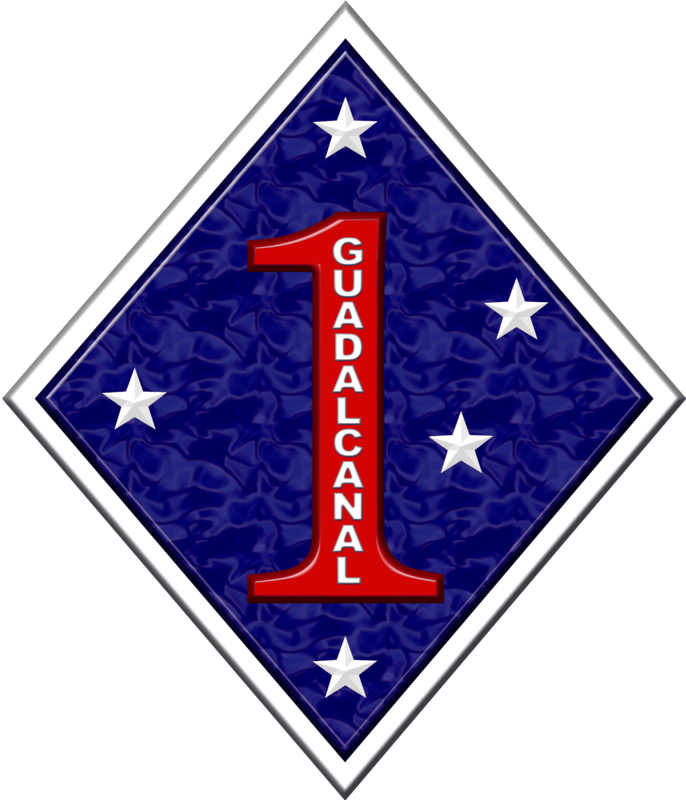 The 1st Marine Division first saw action in World War I, where it fought with distinction as an infantry unit in battles in Belleau Wood and St. Mihiel. During World War II, the division saw its first combat when it took Guadalcanal from Japanese forces. Landing without tents, insect repellent, or mosquito nets, the division still managed to defeat the Japanese and earned one of its three Presidential Unit Citations. The division then fought in New Britain during Operation Cartwheel. Afterwards, the division was sent to fight on Peleliu, where it fought in some of the most intense and brutal combat in the Pacific Theater, but eventually defeated Japanese forces and secured Peleliu's airfield. The last battle of the war for the division was on Okinawa, where it fought against fanatical Japanese troops until the island was finally secure. After Japan surrendered, the division was sent to China to help round up the hundreds of thousands of remaining Japanese troops and send them back to Japan. While in China, the division also had to fend off Chinese communist attacks on American supplies and trains. During the Korean War, the division landed at Inchon and seized the city from communist forces. It then advanced into North Korea, but was surprised by Chinese forces and forced to retreat through the Chosin Reservoir in freezing conditions. For the remainder of the war, the division fought smaller battles along a defensive line in the Punchbowl region. During the Vietnam War, the division conducted the first ground combat missions of the War- Operation Piranha and Operation Starlight. For the next two years, the division fought in almost 45 large combat operations and then fought in Hue during the Tet Offensive, defeating numerous communist assaults. The division was also the last unit in Vietnam, and it evacuated the embassy in Saigon during its fall in 1975. During Operation Desert Storm, the division helped liberate Kuwait by destroying over 100 Iraqi tanks. After Desert Storm, the division provided humanitarian services in Bangladesh and Somalia. During the 2003 Iraq invasion, the division quickly broke through Iraqi defensive lines and advanced over 800km into Iraq in only 17 days. The division then switched to fighting terrorists, first throughout Iraq and then Helmand Province, Afghanistan.